If you’re new to Paris, you may not be aware that Parisians enjoy winter sports as much as the rest of the world does. The usually milder weather is no deterrent to ice skating enthusiasts, as evidenced the selected list of available rinks below. It’s good clean fun for the entire family, very affordable, and certain rinks offer breath-taking views. This is the larger of the three rinks (25m x 50m), with a smaller space for kids and beginners. There is also a large play area with activities for children (under 6) and a giant teepee! Open every day: weekdays from noon to10:00 pm, weekends and public holidays from 9:00 am – 10:00 pm. Last admission one hour before closing. Free if you have skates, 5€ to rent them (free for kids). A piece of ID necessary to rent skates. Please note: gloves must be worn. The stadium in the 13th arrondissement will be transformed into an area for winter leisure activities for children aged three 16. Activities include a 4 zip-lines, snow garden (300m²), games, walks in snow shoes, sledging, ice-skating on synthetic ice, trampolines, merry-go-rounds and miniature golf. Rink measuring 22m x 35m with a 150m² ice garden for the teeny tots (3-6 year-olds). Open every day: weekdays from midday – 8:00 pm, weekend and public holidays from 9am – 10pm. Last admission one hour before closing. Free if you have skates, 5€ to hire them (free for kids). You can also take a free skating lesson at the weekend between 10am and midday, but places are very limited: for 5-8 year-olds: 8 places, for 9-12 year-olds: 10 places and for 13-80 year-olds: 12 places. Editor’s Note: You can also skate indoors year round at L’Espace sportif Pailleron in the 19th or at the Sonja Henie patinoire, part of the Palais omnisports at Bercy in the 12th. Follow the links for hours and fees. Summertime in Paris can be magical but it can also be stifling and stinky. So when the heat and humidity get going, take heart that there are plenty of public pools. Better yet, there are a number that are either outdoors or in facilities with retractable roofs. Here’s a partial list of pools en plein air. Note: If these are not convenient for you, you may find that there is a pool with a solarium — lots of glass and windows — closer to you. While not technically “outdoor” pools, you may enjoy them too. You’ll want to consult the city of Paris Web site for details on hours, fees, and special offerings. You can pay by the visit or purchase a card for 10 entries or a three-month subscription. Hours and fees can vary by the time of year so it’s always best to check in advance. Notes: This historic pool is actually suspended in the Seine River. Not to worry, you will be swimming in the pool, not in the river, but the setting is dramatic to say the least. Two pools in close-in suburban communities also merit mention: the Centre Aquatique in Neuilly sur Seine (a long walk from the Les Sablons metro stop or just a few blocks from the 82 bus stop) and the Palais des Sports in Puteaux, which is on an island in the Seine between Neuilly and La Defense. If you’re not convinced, check out this blog post from one of my favorite Paris bloggers, Emilie Johnson, who regrettably has now decamped to New York City. Nothing like a sunny weekend to remind us that beach weather is around the corner. It’s time to get serious about slogging/melting off winter weight and prepping for that bikini or speedo. Tired of the same old fitness program? Try something new. These days, Paris has plenty of exercise programs to choose from. You may not find cutting-edge classes like Indoboarding or Tread N’ Shed, but you can choose from a number of studios to practice still-trendy Pilates, Bikram yoga, Swedish gym and more recently, Zumba and boot camp. Joining a gym is the typical approach, and there are four main chains in and around Paris: Club Med Gym, Espace Vit’Halles, Forest Hills, Les Cercles de la Forme and Fitness First. The clubs offer everything from pole dancing to putting greens, and the prices seem to be going down rather than up. 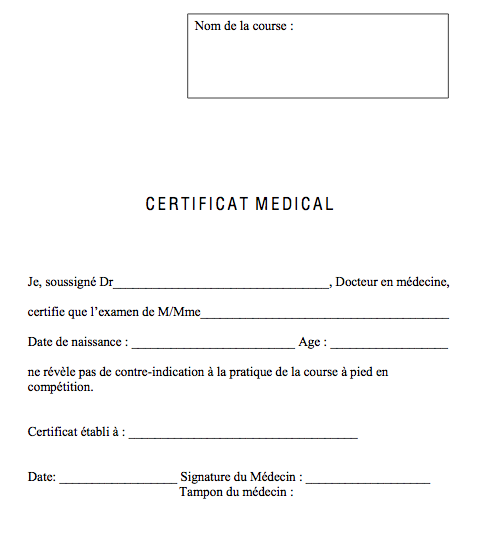 One longstanding member at Club Med says he pays 400 euros a year, although the typical fee is between 700-1,200 euros, depending on the package. You may be eligible for a discount if your employer has a comité d’entreprise. Check before signing on the dotted line. If fitness à la carte is more your style, head to one of the many dance or yoga centers around town, such as the well-known (and much-filmed) Centre de Danse du Marais or the Centre de Yoga du Marais for a variety of ongoing classes or Sunday workshops; check programs at the Anglophone churches, like the American Church where I teach; check online for the exploding numbers of meetups; or sign up for personal training with independent teachers like Fred Hoffman, or from a company like Chameleon Fitness, which also offers on-site corporate fitness classes. For those who would like to sweat totally in French, ask your local mairie for information about municipal gyms, tennis courts, swimming pools and subsidized indoor or outdoor group classes, as well as city-sponsored hikes. And of course, riding a Vélib does double duty as public transport and exercise. 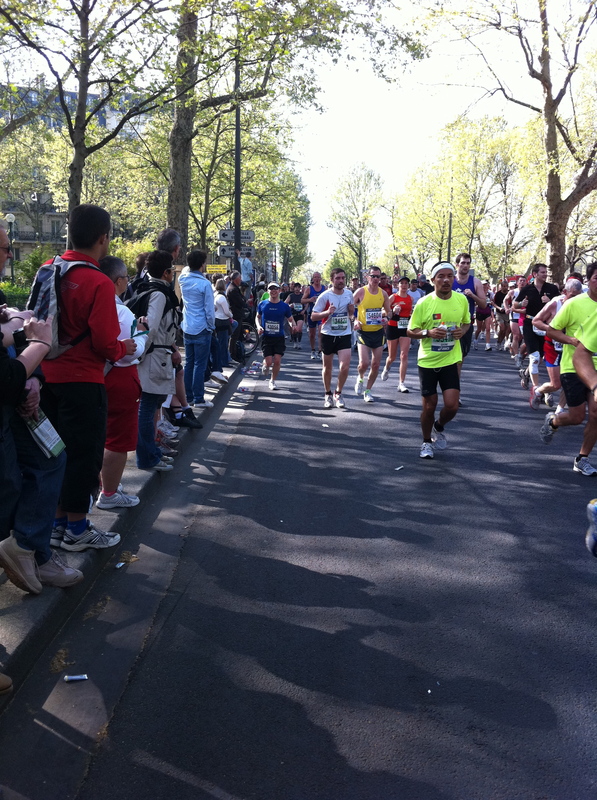 Other municipal activities include the famous roller-blading group skate each weekend, and city-sponsored races, including the marathon, the semi-marathon, and the Paris-Versailles run. If you’re tired of running in the Luxembourg Gardens or the Champ de Mars, head to the Bois de Vincennes or the Bois de Boulogne for running and biking paths and exercise circuits. Or further afield, take the train to one of the forests around the Ile de France. The Forêt de Rambouillet, for instance, has a great bike path (“piste cyclable”) running through it, with a beach tucked in midway. Fontainebleau is known for both its climbing surfaces and its riding paths. If none of these inspire you, go cultural and take time out for tourism. Climbing the 387 steps up the Notre Dame bell tower, hiking the hallways of the Louvre, or trekking the 2km tunnel through the catacombs will tone the heart, strengthen legs and burn calories. Best yet, you’ll be in shape for your summer visitors – and, of course, the beach. The sports & fitness sections of Time Out Paris, Expatica and Paris Anglo. Alison Benney has been teaching community fitness classes in Paris for over 25 years. She has written articles and presented at expat events, and eight years ago gathered and categorised her accumulated collection of fitness resources into a Web site, ParisFitness.com. It lists almost everything you want to know about keeping in fit in Paris, including where you can find the classes listed above, plus a calendar of selected fitness events. Follow her on Twitter.